For more than 40 years the Inland Waterways Protection Society has worked to save and restore this complex of canal loading and transhipment basins in the Derbyshire Peak District. Now a Scheduled Ancient Monument and with restoration largely complete, the role of IWPS is one of managing and promoting Bugsworth as a destination venue, attracting more than 50,000 visitors a year, hence the change of name to Bugsworth Basin Heritage Trust (BBHT). All of the above roles are voluntary and unremunerated. For fuller details please see roles advertisement. Relevant induction and training will be provided and some direct expenses will be reimbursed. Job specifications from and applications to Dr Paul Syms, who is advising the trustees, at paul.syms@homecall.co.uk, who would also be happy to respond to requests for telephone discussions. Bugsworth Canal Basin, the head of navigation of the Peak Forest Canal, was the largest and busiest inland port on Britain's narrow canal system and the only one to survive intact. Famous canal and tramway engineer, Benjamin Outram, built the 14 mile long Peak Forest Canal from Dukinfield to Bugsworth, although plans to extend to Chapel Milton via Whitehough were never realised. Construction of the six-mile Peak Forest Tramway in 1795-96 linked Bugsworth Basin to the limestone and gritstone quarries in Derbyshire, and the canal linked Bugsworth to Manchester and the trans-Pennine canal network. 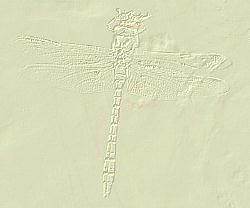 With these transport systems in place Bugsworth thrived commercially. However, as early as 1804, experiments using steam locomotives to haul iron were underway in Wales. The ensuing unstoppable advancement in railway technology would, inevitably, lead to the decline and ultimate demise of the canal system. Starting in 1968 Volunteers of the Inland Waterways Protection Society Ltd restored the canal and basins culminating in the re-opening to navigation in 2005. Now that restoration of navigation has been achieved, improvements and development will continue under the new organisation name: Bugsworth Basin Heritage Trust. The BBHT is not responsible for the contents of external websites. Our website may include links through to other sites, but we are not responsible for the privacy practices or content of those sites. The fact that we have a link to the site is no endorsement of that site, or that we accept any responsibility for that site or its contents. 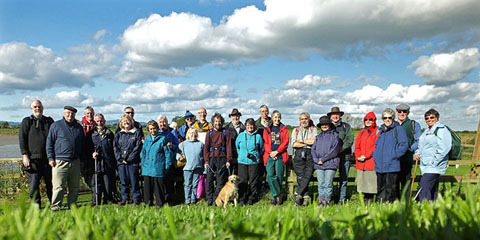 Click the logo to read more about the CPRE award. In producing this high quality book (220 pages) Grahame Boyes has built upon the work of the late Brian Lamb adding to it that of later researchers including Ian Moss, who, determined to see Brian Lamb’s work published, rearranged Brian’s original text into a more themed structure. In bringing all this information together in one book, the author has created what can be best described as the definitive work relating the history of the Peak Forest Canal and associated tramway. The early chapters describe the PFC in its wider setting, the formation of the company; its supporters, committee, officers and the company’s servants, and the eventual involvement of the railway companies, are all presented in detail. Well illustrated with maps, drawings and archive photographs, the following chapters deal with building the canal and tramway, its main features (locks, aqueducts, warehouses, tramway tracks and wagons, etc,) before covering aspects of operation and maintenance. 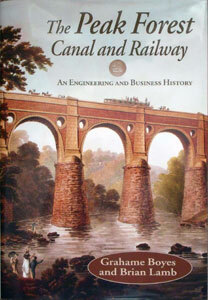 Following this, the invasion of the railways, the Canal Company’s stone business, traffic, trading facilities, and financial matters are all analysed and described, again with numerous photographs and illustrations. In conclusion, the eventual decline and closure of the canal and tramway in the early 20th century is followed by a brief description of the restoration and reopening of the canal. This describes the dedicated involvement of the Peak Forest Canal Society volunteers on Marple Locks , the Lower Peak Forest and Ashton canals, and at Bugsworth Basin, the Inland Waterways Protection Society, initially led by the redoubtable Bessie Bunker and later by Ian Edgar MBE. This book is a must have for anyone interested in our canal heritage and at �30 including postage represents a very good buy indeed. Also available from PFCC Ltd Sales. Please contact Ian Edgar MBE if you would like a copy. By agreement with Canal & River Trust, BBHT monitor the mooring activity at Bugsworth Basin, a popular destination for many boaters. At times of low demand, Canal & River Trust are content to relax the 48 hour restriction provided that no customers are disadvantaged by anyone staying longer than the normal 48 hours; and provided that the extended stay has been agreed with the BBHT representative at the site, at the time. To prevent boats with extended mooring permission being issued with an Overstayer's Penalty, BBHT will issue a temporary notice to be displayed alongside the boat's current licence. Please note: Moorings CANNOT be pre-booked and are occupied on a first come, first served basis. At peak times, e.g. public and bank holidays, the basins are often the venue for club and organisation cruises with up to 60 boats arriving unannounced. BBHT is NOT responsible for events at Bugsworth nor is it accountable for the allocation of mooring places. Events organisers are reminded that it is a legal requirement that they complete a Risk Assessment before holding any waterway event. A Blank Risk Assessment form, a sample Risk Assessment and Guidance Notes can also be downloaded from the above CRT website. Whenever possible, the BBHT will provide information to boaters regarding mooring availability at the basins. The Trust (formerly IWPS), an entirely voluntary organisation, has for more than 40 years worked towards the restoration of navigation into Bugsworth Canal Basin. The Legacy of Bugsworth Basin - the where, what, why about Bugsworth Basin. 174 - The IWPS quarterly newsletter is no longer being published - a new newsletter is planned to be introduced later in 2014. Click the 174 - IWPS Newsletter logo to review the archive. Click the History of Restoration logo to view a brief photo history in a series of pictures showing the progression from dereliction to restoration for areas of the basins. 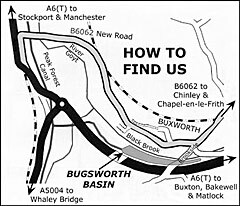 Click the Bugsworth Today logo to open a map of Bugsworth Basin as it is today, point to the area you want to view and left click. The IWPS raises funds through the sales of books, publications, souvenirs, tableware, clothing, etc. 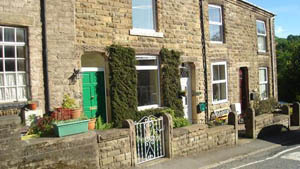 through its trading subsidiary The Peak Forest Canal Company Ltd. Please visit the Sales Counter by clicking the PFCC logo for more information of our product range and to support this worthy cause. Marple Lime Works, Mineral Mill and Brick Works Another excellent 20 page booklet, written by Peter J Whitehead, illustrated with numerous historical photographs, sketches and maps, tells the story of the Marple Lime Works, Mineral Mill and Brick Works. It also narrates the history of the Tymm family. Published by the Inland Waterways Protection Society, the book is available from IWPS Sales price �1.75 (UK pounds). Click the Star or here for more details. Its Construction and Later Development. PFC - Upper Level Towpath Guide. PFC - Lower Level Towpath Guide. Written by Olive Bowyer with additions by Don Baines, Derek Brumhead and Peter J Whitehead. These three excellent books, written by the late Olive Bowyer and first published by New Mills Local History Society, were brought up to date and enhanced by the addition of numerous historical photographs, maps and illustrations and published by the Inland Waterways Protection Society. They are available from BBHT Sales, and New Mills Heritage Centre. Available from PFCC Sales price �15 or �25 for the two, if bought together with the Historical Archive cdrom above. The fourth edition of the successful historical archive cd-rom has been expanded to include all of the Ashton Canal, the Stockport and Hollinwood branches. Much more historical material including timelines, directories of people, village records, census returns, technical articles, etc, has been added. This cd-rom tells the story of the restoration in photographs from the Bunker days, through the Edgar Era to the Easter 2005 opening. With 2900 captioned pictures taken by IWPS volunteers, their story is told. Included are IWPS and WRG workcamps, events like Granada TV Reports Action, burning the caravan, the fiendish weed cutter, the repairs by contractors and much more. Available in two colours, these specially-commissioned tea towels feature scenes around the basin and a map of the area. The scenes are printed in either black or blue on a good quality cream linen cloth. From Dukinfield to Bugsworth Basin - an Illustrated Guide to the Peak Forest Canal. This report describes the interpretation of tramway artifacts discovered at Bugsworth Basin and at other locations up the tramway to the quarries at Dove Holes. An illustrated description of the line of the tramway from Dove Holes to Bugsworth, its history, construction, operation and eventual demise. A guided walk along "The Tramway Trail" is also included. A description of the development and working of the two important gritstone quarries which were located close to Bugsworth Basin. The true story of John Cotton who murdered his wife on a narrowboat moored at Bugsworth on the 26th October 1898. It is reputed that he was the last man to be hanged at Derby Gaol. Recorded in 1969, these are the reminiscences of Mrs Martha Barnes, then aged 98, describing life in and around Bugsworth during the 19th and early 20th centuries. Listed below are pages relating to the conversion of the Peak Forest Tramway into a walking and cycling trail proposed by Chapel-en-le-Frith Regeneration Partnership. Photographic accounts of features of the Peak Forest Tramway at Bugsworth Canal Basin. One describes the unique elevated tramway and the other an original tramway bridge and the last tramway wharf (platform). A tribute to the life of Thomas Brown of Disley and Manchester, Surveyor and Resident Engineer to the Company of Proprietors of the Peak Forest Canal. An adaptation by P J Whitehead of the story about a well-known Chapel-en-le-Frith character. Please note: the articles on Peter's site are complete and no additional information is available from the author. These pages are hosted by David Kitching alongside his own website. The Ashton, Macclesfield and Peak Forest Canals.